After spending two years working on the farm, Grace finally got an opportunity to take the required series of tests for entrance into the University. Grace wanted to major in physical education. In order to be accepted into this program the first hurdle she was required to cross was a physical aptitude examination. The test required the students to exhibit strength, endurance, and skill in their given field of concentration. Naturally Grace chose to concentrate on the martial arts. 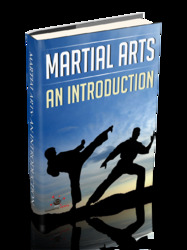 In a field of 400 applicants, only three would be chosen for the martial arts positions. When the grueling series of tests were complete, Grace was ranked number one. Many of her competitors were members of the Wushu teams and had the opportunity to continue practicing while Grace was working on the farm. She had passed the first hurdle. After the physical aptitude exam she was sent back to the farm to work until it was time to take the written exam. A short time later she was called in to take the written exam. She took the exam and was again sent back to the farm. Now she could only wait. Later the notification came, she had passed the exams and had scored well enough to be accepted. While at the University, Grace wrote her thesis on the "Origins of Shaolin Boxing and the Shaolin Temple." In performing her research she went to the Shaolin temple with her father and they meticulously researched the temple's written records and writing on the stone tablets. The conclusion of her research was that the story about Da Mo coming to China from India and teaching the monks exercises that eventually grew into the Shaolin martial arts was nothing but a fairy tale. The martial arts which generally became known as "Shaolin" in China were brought into the temple from the outside and then refined there. These arts did not come from within the temple and spread outward. These arts pre-date the temple and pre-date Da Mo. These arts were indigenous to the northern areas of China and were brought to the temple by monks and travelers who stayed there. Because the monks had a lot of time to practice the martial arts, the temple became like a martial arts finishing school and the "Shaolin" arts were refined there to a high degree. Sadly enough, the temple itself has fallen to the tourism trap and they also promote the Da Mo myth. 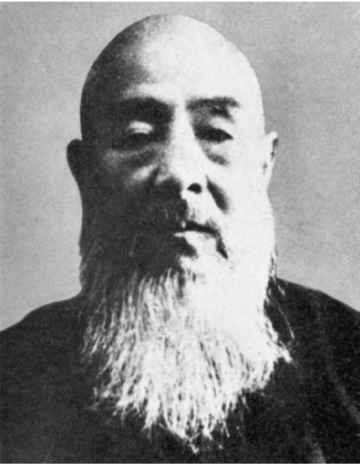 While Da Mo probably had a lot to do with the development of Buddhism in China, he had absolutely nothing to do with the martial arts. Every scholar who has done serious research into the origins of Shaolin and the Shaolin temple has come to the same conclusion. Unfortunately, these works have yet to be printed in English and so the myth of Da Mo continues. Although Grace Wu's grandfather had died by the time she went to college, her martial arts training continued. In school she was required to study the "contemporary wushu" training program and its associated compulsory routines, however, she also continued her study of the traditional styles with her grandfather's students and friends of her parents. She was never on a professional wushu team and she did not compete in tournaments. She preferred to practice the traditional arts that were taught by her grandfather and his direct students. Whenever one of his friends or students would come to visit her parents, she would demonstrate her forms and ask for corrections. She was able to receive corrections and valuable pointers on her Pa Kua Chang when Sha Kuo-Cheng (see article page 16) visited her parents and received Pa Chi and Hsing-I instruction from the well known Pa Chi instructor He Fu-Sheng. During college Grace also became somewhat of a celebrity in Shanghai as she conducted a morning television program teaching a set of 20 health and longevity exercises which were invented by her grandfather. The show, which was a project created by her father, was a big success. Today this set is quite popular in Shanghai as a result of the television show. Grace Wu at her school in Wichita, Kansas contemporary styles, she feels that there is a difference in the flavor of the two and it lies in the training emphasis. She states that in traditional Pa Kua the emphasis is placed more on developing the fundamental principles of the art and less on the particular form movements. The practitioners of traditional Pa Kua work to maintain a consistent energy flow and never sacrifice proper alignments and body connections. She continued by saying that because of this, the overall flow and feeling of traditional Pa Kua is more balanced and solid. She remarked that the practitioners of "contemporary wushu" are taught while they are young and therefore body conditioning, agility, flexibility, and body control are the things that are emphasized. Because these practitioners are taught Pa Kua for purposes of performance, it is taught almost like it is a gymnastic routine. Grace says that these practitioners pick up the movement, however, sometimes they lack the true spirit, or intention, of each movement and miss the deeper aspects and more subtle qualities of the art in general. She feels that by studying the traditional arts in the traditional manner, the practitioner can pick up the art's subtleties and depth. She feels that it is important to remember that the traditional arts are the roots of the "contemporary wushu." When Grace graduated from college she was sent to work as a physical education instructor at a high school in Shanghai. She worked there for a year and a half during which time she and her mother had a television program teaching T'ai Chi Ch'uan and T'ai Chi sword. While working at the high school, conditions in China took an upswing and it became relatively easy for people with sponsors abroad to leave China. Grace took advantage of this opportunity as her father had relatives in San Francisco and they offered to sponsor her to come to the United States and study in a graduate level program.